Sydney Re Roofing Pty Ltd provide Re Roofing services to customers in Sydney, including re roofing, new roof installations and roof extensions. We offer exceptional customer service and quality products. We can transform the appearance of your home at an affordable and competitive price. 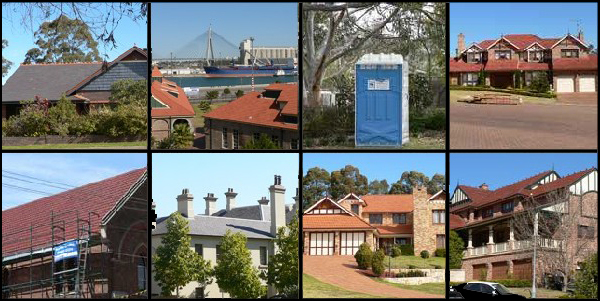 Sydney Re Roofing Pty Ltd offer quality Re Roofing services to Sydney and surrounding areas. We only use premium roofing products and all our work is carried out by fully insured, licensed tradesmen. With over 40 years of industry experience, our work delivers a look, color and finish that will look outstanding. Sydney Re Roofing Pty Ltd is a family owned and operated business, and our expert staff are able to assist you with all your roofing needs and enquiries, for all kinds of domestic and commercial roofing. Sydney Re Roofing Pty Ltd specialise in complete re roofing, and are a CSR Roofing Specialist; this enables us to receive the best price for Monier and Wunderlich tiles.